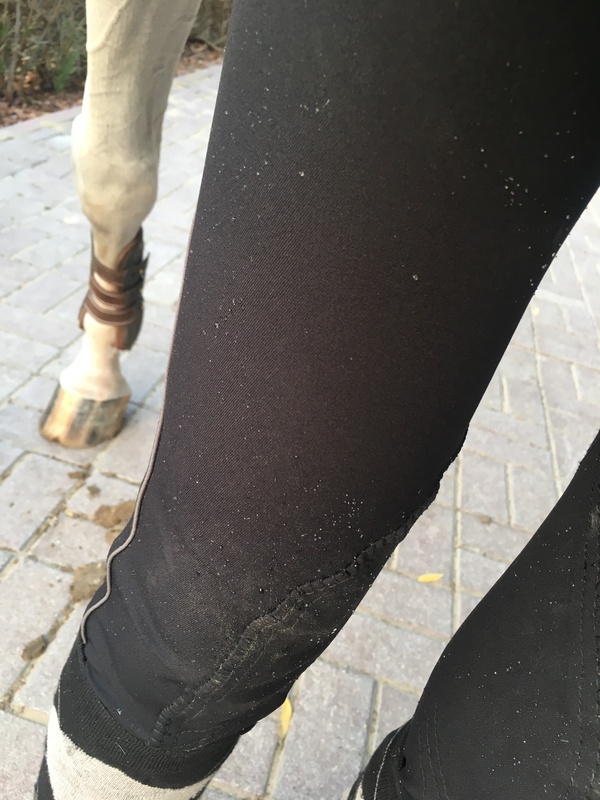 Last summer, I reviewed the old version of the Kimberly Breeches., which I never knew were the 2012 model, until @Bvertigo_UAE contacted me in order to review the newer model which they kindly sent to me 3 months ago. They currently only come in two colours: Navy or Black. The design of the breeches is very simple with some minor details, which I personally prefer. It has a wide waist band, with two vertical buttons. Simple back pocket with Euro Seat, and a metal plate on the belt loop. There is a vertical line on the sides of the breeches which gives it that extra touch. I did realize that the waist is actually lower than the older version. I personally liked the way the older version sat on my waist as it felt a little more comfortable while riding, but not a big deal. The knee and calf area has definitely been altered to fit better. I had an issue with the older Kimberly where the knee and calf area was too baggy. The newer version is a lot better and fit nicely under my tall boots. Verdict: I would recommend these breeches as they are very lightweight and stretchy. 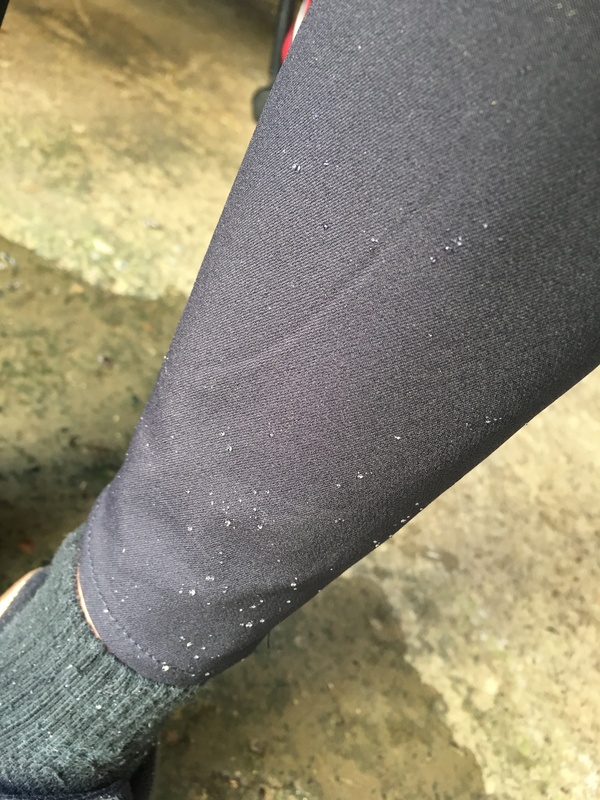 Their moisture wicking is a great asset especially for someone as clumsy as me. I can’t decide which version I like more as the older kimberly was more comfortable on the waist, but not the knee and calf, whereas this new version is the opposite (more comfortable around calf and knee, less comfortable around waist). I guess it depends on your body shape and personal look preference.